Story originally appeared July 1, 2011 in the Toronto Star. 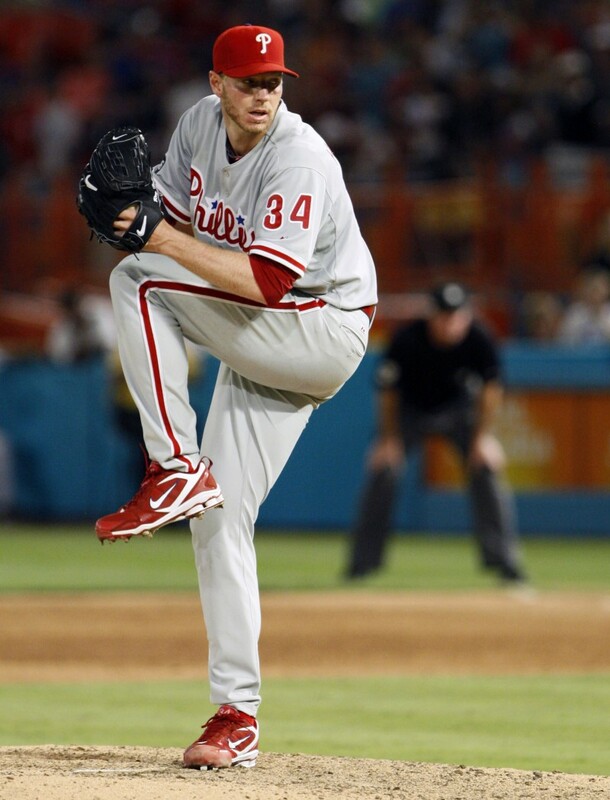 PHILADELPHIA—With two runners on base and a 2-2 count to Florida Marlins catcher John Buck, Phillies ace Roy (Doc) Halladay toes the rubber, winds up and unleashes the pitch he’s been refining since the Jays traded him in December 2009. The 77-m.p.h. curveball does just what Halladay, a six-time all-star with the Jays, expects. It zooms toward batter looking tantalizingly hittable, then veers sharply out of the strike zone just as Buck commits to swinging. The pitch is designed to produce a strikeout or a weak ground ball, but Buck manages to muscle the ball into shallow centre field for single that scores two runs. They were the third and fourth the Marlins earned off Halladay on an evening in which the 2010 Cy Young winner would complete seven innings without earning a decision, but Buck knows better than to judge Halladay on that night’s numbers. This season’s stats tell a more compelling tale, and heading into this weekend’s series against the Blue Jays, Halladay is putting together his strongest season, even by his own stratospheric standards. Poised for yet another all-star selection, Halladay leads the National League in wins (10), complete games (five) and innings pitched (127.1). But the best way to judge Halladay is to face him, and Buck says that task is tougher than ever. Saturday’s game marks Halladay’s first start in Toronto since the trade that sent him to the Phillies in exchange for a group of prospects that included Kyle Drabek, a homecoming postponed last year when the G-20 summit bumped a scheduled Jays-Phillies series from Toronto to Philadelphia. Halladay’s return to the Rogers Centre isn’t a final referendum on the trade — Drabek remains a top prospect even after his demotion to Las Vegas — it’s hard to ignore the massive gap between Halladay’s success and Drabek’s struggles. But it’s tougher to deny that after spending 12 seasons in Toronto, establishing himself as one of the game’s best pitchers, Halladay is where he deserves to be. On top of his game and, after reaching the NLCS last year, positioned for an even deeper post-season run. Even as he evolves, the 34-year-old Halladay remains in important ways the pitcher he was when he left the Jays. He’s still a leader by example who wins over teammates with his intense and infectious dedication to his craft. Last April, Phillies reliever Jose Contreras watched as Halladay dismantled the Atlanta Braves over nine shutout innings, and when he returned to the clubhouse he expected to see Halladay relaxing. Instead he found him at his locker, right arm packed in ice, eyes locked on his laptop computer as he analyzed his next opponents, the San Francisco Giants. The most obvious difference between Halladay the Jay and Halladay the Philly is the team surrounding him. Instead of being the biggest star on a middling Jays team, he’s one more standout on a Phillies squad full of them. The Phillies have built the best record in the majors (51-31) behind a starting rotation that suffocates opponents. Meanwhile, Halladay has quietly nudged his game one level higher by adding two more dependable pitches. Already known for throwing the best cut fastball this side of Mariano Rivera, Halladay is now equally effective with his curveball and changeup. Those new pitches help foster an unprecedented blend of power and control. Halladay’s 123 strikeouts rank second in the NL, and his walk rate (1.1 per nine innings) equals a career low. While Oswalt, Lee and Hamels all occupy lockers to the left of the door that leads to the team’s training room, Halladay’s locker is on the right. The symbolism might not be intentional but it’s obvious. Even on a team full of ace pitchers, Halladay still stands apart, and Philadelphia’s notoriously fickle fans clearly expect a lot from him. The souvenir shop at Citizens Bank Park sells Nike T-shirts that read “DOCTOBER”, and when Halladay surrendered four runs against the Marlins, one hometown fan made clear he wasn’t pleased. That Halladay walked nobody while striking out eight batters didn’t matter to that fan. A pretty good outing from Halladay often isn’t good enough. 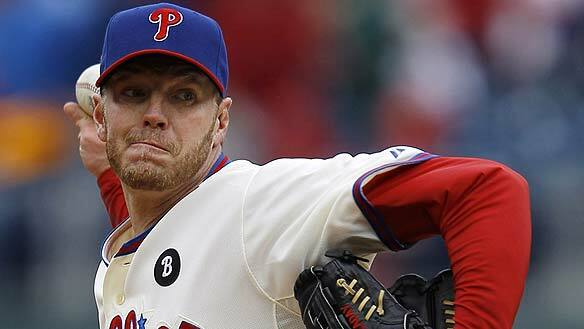 Halladay recognizes the pressure his success generates, and he welcomes it. High expectations mean fans care, and that his team is a contender. Should be intereting to see how he does in 2012…not sure how much better he can get!